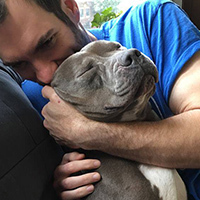 If you’ve made the decision that you can no longer keep your pet, finding a new home and family for your pet is the best thing you can do for them. 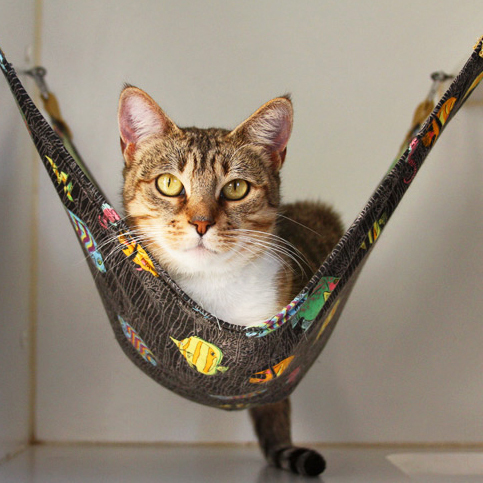 Your pet will be less stressed staying in familiar surroundings until a new home is found. Here are some helpful tips to get you started on a search for the best new place for your pet to call home. With careful consideration, time, and effort you may be able to find a great home for your pet. Make sure your pet is up to date on vaccinations and is spayed or neutered. Animals that are spayed or neutered are more likely to be adopted. Fixed animals are also less likely to be desired by people looking to adopt an animal for the wrong reasons and will help stop irresponsible breeding. Evaluate your pet’s adoption potential. You will need to be realistic in your own expectations. Older, larger animals are more difficult to find homes for. If your pet has a medical or behavioral problem that you are not willing to address, you must consider that a potential adopter is not likely to want to take on that responsibility either. Fill out a personality profile/animal history form to let interested people know more about your pet. Be honest – creating realistic expectations is the best way to ensure a new home is a forever home. You can find examples online but include things like health conditions (include S/N, food allergies, etc. ), behaviors (house trained, destructive, likes toys, needs exercise, etc. ), sleep conditions (bed, crate, indoors/outdoors), reactions to others (animals, kids, men, strangers, etc.) – the more information you provide, the better the potential outcome. Here’s a sample resume made for a landlord. Ask your vet to print out your pet’s medical history. Take your pet to a groomer. A pretty and clean pet is a more adoptable pet! Take great photos of your pet. Here are some tips on how. Friends, family and people that you work with are the best way to start. Ask them to ask ten friends as well. Contact the breeder/individual/shelter/rescue group where you acquired your pet. They may be willing to take your pet back or assist you in finding him/her a new home. Got a purebred? Try breed rescues. If you have a purebred dog or cat you may be able to find a rescue organization that specializes in helping dogs or cats of that breed. You can search for breed rescues in your area by visiting Petfinder and looking for dogs of a certain breed near your zip code. The American Kennel Club also has a list of parent breed rescue organizations which may be able to refer you to a local breed rescue group. Also be sure to screen the rescue before giving up your pet – make sure the current animals they care for look well cared for and ask about their adoption policies and how they place pets in their care. Include a color photo in the advertisement and description of your pet along with contact information. If your pet is spayed or neutered, be sure to mention this. Give copies to your friends and family and ask them to do the same. Place ads in Craigslist and Petfinder and share on social media sites like Facebook, Twitter, and Instagram. Include a color photo in the advertisement and description of your pet along with contact information. If your pet is spayed or neutered, be sure to mention this. Charge a small adoption fee. Free to a good home ads often attract people looking to turn a profit from your pet instead of providing them with a good home. Make a list of what you feel is important for your pet. Review the list and be realistic – no home will be perfect but you should come up with an idea of what you are looking for and why. A good home is one in which your pet will receive love, attention, veterinary care, and proper access to food and water. The potential owner should be looking to make your pet part of their family. Have a conversation. Explain that you love your pet and want to find a permanent and happy place for him/her. Talk with the prospective adopter over the phone about their other or old pets – this is a good way to gauge what kind of pet owner they are. For ideas on what to ask people interested in your pet see our adoption application. Pay a visit. Whenever possible, bring your animal to their home. It is a good idea to have prospective owners meet your pet and also for you to see their apartment or home in order to see the environment your pet will be living in and how he/she reacts. Get ID information. Ask for a potential adopters name, address, phone number and make sure they can verify this information with a valid ID. Check references. If they have a pet or have had one recently in the past – ask the name of their veterinarian and contact them. Make a contract. Create a mutually agreed upon contract. Be willing to take your pet back if the placement does not work out. Create an online presence for your pet through Rehome. It’s a free service that also offers advice and tips to ease the process of re-homing your pet. A great resource is your local animal shelter. Most shelters screen potential adopters to make sure that they will be able to provide a safe, responsible, and loving home for your pet. Even if your pet does qualify for entrance into a “no-kill” shelter and there is space available, there are no guarantees that the shelter will take your pet. Most “no-kill” shelters are limited admission and reserve the right reject an animal they deem unfit for adoption. Rules and regulations vary in every shelter, and so do the conditions. Make sure that any shelter you bring your animal to has a reputation for humane conditions and successful adoptions. Shelters should not be your worst option but ideally, not your first option. You will be asked to complete a Pet Profile designed to address common questions about your pet. Please bring any previous veterinary and vaccination records, if available. If your pet is healthy both medically and behaviorally and is accepted into our adoption program (or that of one of our adoption partners, including the East Bay SPCA or Berkeley Humane Society), s/he will stay available for adoption until a new home is found provided that there are no changes to health or behavior during that stay. We have no time limits on an animal’s stay with us. Unfortunately not all animals are considered adoptable. Some animals may be disqualified from the adoption program by obvious signs of disease, physical disability that seriously impacts quality of life, or those that demonstrate significant aggression. Additionally, information provided by the owner on the condition, temperament, or behavior of his/her pet may result in a recommendation of euthanasia if the pet is to be left in our care. We will try to provide you with as much information as possible at the time of intake to give you the opportunity to make the best choice for you and your pet before you relinquish to us. However, keep in mind, the shelter environment is stressful and your pet may react quite differently than they have in a home environment. We cannot make any guarantees about placing your pet.